(Mugello, Italy) Ferrari 599XX EVOLUZIONE! In Italian that means: just when you thought the Ferrari 599XX couldn’t get any more extreme. Ferrari’s latest track monster was spotted in Mugello like a mythical loch ness. 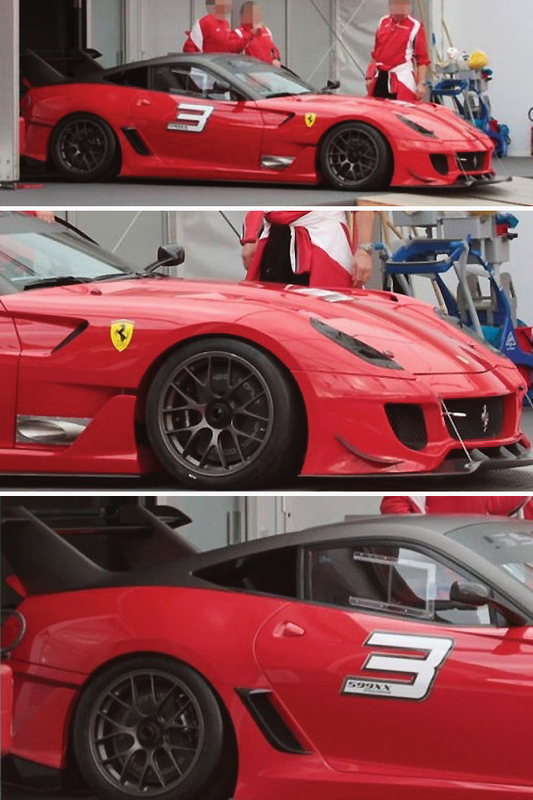 The new 599XX “Evo” is expected to have an even more powerful V12 6.3-liter powerplant. Insiders are suggesting over 800 horsepower for what will most likely be the latest Supercar offering for Ferrari’s special client program known as Corse Clienti. 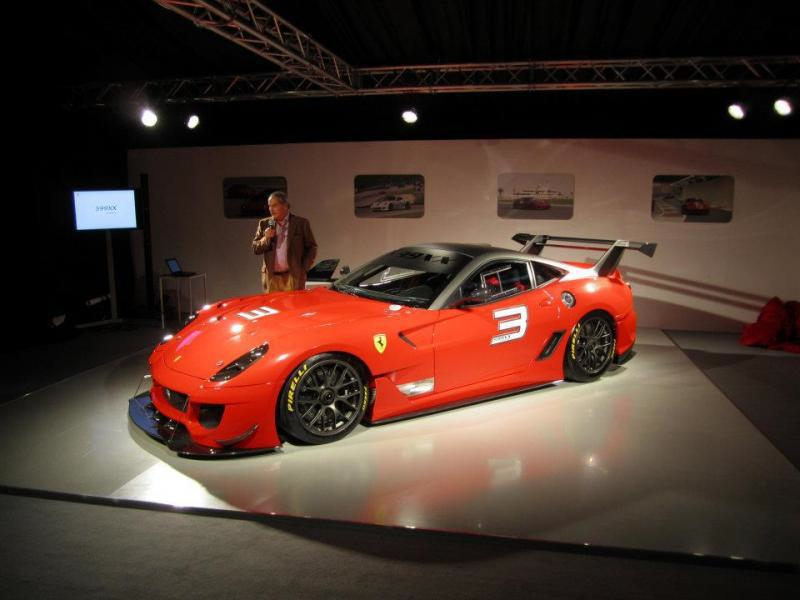 Also likely the 599XX Evo is rumored to be unveiled to the world at the Geneva Motor Show in Switzerland come March 2012. Here are the only recent, leaked photos. Pay close attention to: the front splitter, upgraded front brakes, the side exhaust and the newly modified rear wing. We are sure this new Ferrari V12 will turn motorsports on its side… again.